Applied Behavior Analysis, or ABA, is the hands on application of the theories of behaviorism as they relate to educational or adaptive skill acquisition. ABA as an instructional approach is often utilized to address the specific cognitive, social, and language skill areas for children with specialized learning needs and is recommended as the primary means of treatment for children on the Autistic Spectrum. Instruction is individualized following an assessment of the student’s skill to identify areas of strength and areas of need. Specific goals are determined and the objectives necessary to arrive at the successful acquisition of those skills are initiated. The use of ABA in skill acquisition is not limited to academic skills but can also be incorporated into play activities, social skills and self help activities. The use of ABA techniques is also not limited by diagnosis or age. It is the skill of the practitioner that dictates its use and its effective application to the individual learner. Instruction often combines discrete trial presentation of skills along with opportunities to generalize skills within a more naturalistic play or daily routine activity. In order to ensure that students move from gathering skills with prompts to independent skill demonstration, it is necessary to systematically reduce prompts and reinforcers quickly, as the child skill level dictates. This movement from “ritual to repertoire” makes learning fun and eliminates the “robotic” stereotype behaviors that people often associate with ABA. Susan Varsames, M.A. Ed., Director of the Holistic Learning Center and the educational staff function as the primary educators providing ABA services at the center. Some professional special educators are working for the center, and provide homebound services as well as services in the center. To learn more about Susan and the other staff, click on their bios. 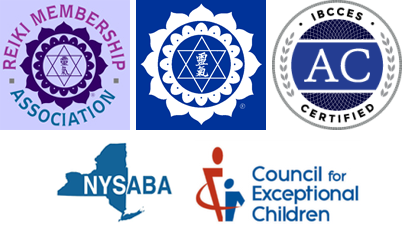 All our educators have been utilizing the principles of ABA for many years in the classroom and in the home setting with both toddler and elementary school aged children with specialized learning needs.